A very common challenge for salespeople occurs when a prospect starts asking pricing questions too early in the sales process. Ineffectively handling that question can hamper the rest of your sales efforts. 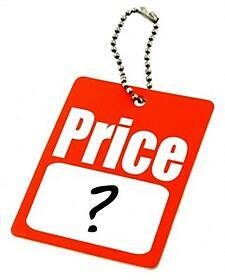 It’s important to understand that the price question is not always what it seems to be. More often than not it is merely a defense mechanism used by the buyer. When asked the pricing question, you must answer it. Failure to answer the question can kill your momentum and introduces fear into the process (the very emotion we are trying to avoid). Well it’s too early to answer that question. I’ll be happy to answer that question later in the process. We recommend handling that question by providing a range. Confidently respond will the range your products and service may take – from the lowest to the highest. Frank, it’s a little early for me to be specific. There are still several issues that I’m not clear about. I’d be happy to share the range we typically deal with if that would help? In some situations where just slight tweaking and structure are needed, something like this could be as little as $10-15,000. In far more complex cases where not only do we have to set up a new plan, but we ensure that the proper pieces are in place to support it, it could be as much as $75-90,000; and literally everywhere in between. In your case Frank, I’m pretty sure that we’ll be towards the lower end.